Addiction Hope: Welcome to today’s #AHchat! Today we will be tweeting with @timberlinetoday about tips for relapse prevention in addiction recovery. Addiction Hope: Please welcome Megan Wilson, BS, CADC, Addictions Program Coordinator for Timberline Knolls Residential Treatment Center. Addiction Hope: Let’s get started with our discussion about Addiction Recovery. Be sure to use #AHchat to follow along! Addiction Hope: Please tell us about yourself, Megan. Megan: I studied Psychology and Criminal Justice and obtained a BS from Illinois State University. Megan: There are several life experiences that drew me to the addictions field. Megan: And noticing the frequency of substance use disorders among the adolescents. Addiction Hope: How does one identify high-risk situations for relapse? Megan: High-risk situations are those that would be triggering and elevate emotions. Megan: Examples would be aspects of addictive lifestyle (people, places, and things) and high stress environments. Megan: These examples could raise emotions such as anxiety and anger, which were previously subsided with substances. Megan: This would also include stressful appointments or major life changes. Megan: I recommend seeking additional sober support for both examples. Megan: High-risk situations could also be medical procedures that would warrant a doctor to prescribe a controlled substance. Megan: This would include surgery (including oral/dental) and injuries. Addiction Hope: How does one handle problems and feelings without the former escape of getting high or numbing out? Megan: This is because substances were previously used as a maladaptive coping skill. Megan: An individual can cope with undesirable situations and uncomfortable feelings in many ways. Megan: Examples would be reaching out to their support network, proactive planning, and application of DBT skills. Megan: Identifying an unavoidable high-risk situation can help an individual proactively plan ahead of time. Megan: An individual can contact their sponsor before, during, or after the situation to distract from cravings that may arise. Megan: This will serve as a reminder that they are not alone with challenges in recovery. Addiction Hope: We commonly here that a recovering person needs to keep your life in balance – but what does that really mean? Megan: The phrase “keeping one’s life in balance” means ensuring that there is moderation and structure in their schedule. Megan: Moderation will assist with prevention of transferring addictions. Megan: It is important to have a schedule that is structured to be proactive in recovery. Megan: Schedules can help stay on task as to not increase anxiety or stress, which can increase urges and cravings. Megan: Including 12 step meetings, meeting with their sponsor, meals and snacks, programming and/or work, appointments, self-care/leisure, and hygiene. Megan: If an individual has recently left a residential setting such as Timberline Knolls, they can use that programming schedule as a guide. Megan: This schedule will assist with transitioning from a highly structured environment. Addiction Hope: How does one develop a support network? Especially how is this done when one has few or no close friends and family that are healthy? Megan: One can develop a support network by attending 12 step meetings and obtaining numbers. Megan: If the individual is connected to a religious community, they may be able to meet others through group activities. Megan: Volunteering can also provide an opportunity to meet others who share similar interests. Megan: Ensure that your recovery is your number one priority. Addiction Hope: It is commonly said that recovering folks should “Avoid old people, old places, and old things” – what does that really mean? How does one fill the gaps created by this? Megan: Old people, places, and things refer to aspects of the former addictive lifestyle. Megan: This includes drinking and using friends and hangouts. Megan: It will be important to grieve the loss of the former lifestyle to begin a path towards their meaningful life. Megan: If previously they would leave work and head to the bar, they can develop a new recovery focused habit. Megan: If a meeting is not available at that time, other options could be having a short visit with a loved one, etc. Megan: This can be viewed as an exciting time to try new sober leisure activities. Addiction Hope: After a while, aftercare appointments and meetings can get tedious. How long does one need to attend these? How does one stay motivated to keep attending? Megan: It can be overwhelming to think of attending appointments and meetings from now until the end of time. Megan: This mentality of viewing meetings or appointments as a chore could lead to complacency. Megan: Connect with others at meetings to challenge thoughts of catastrophizing recovery. Megan: It is important to maintain mental health appointments to continue on your path towards your meaningful life. Addiction Hope: What support groups and organizations do you suggest after treatment? Megan: After treatment, Timberline Knolls recommends attending 12 step meetings, abiding the aftercare recommendations of a PHP or IOP. Megan: It is also important to attend outpatient therapy appointments. Megan: Examples are Alcoholics Anonymous, Narcotics Anonymous, Codependents Anonymous, Debtors Anonymous, etc. Addiction Hope: What do you suggest one do if it relapse or a slip occurs? Megan: Be honest. Reach out to your sponsor or therapist to inform them of the slip and return to 12 step meetings. Megan: Relapses and slips may occur in recovery and shame messages deterring you from returning to support need to be challenged. Megan: I would recommend reading Chapter 7 from Narcotics Anonymous. Addiction Hope: Please tell us a bit about the Timberline Knolls Addiction Treatment Program and how it works? Megan: During treatment at TK, residents will have an opportunity to work with their CADC both in group therapy and individually. Megan: Their therapist will create an individual schedule that reflects their treatment plan by assigning elective groups. Megan: These groups are psycho-educational and 12-step oriented. Megan: Residents will be able to attend several on-site 12 step meetings, which are located on TK campus and become eligible to attend off-site meetings in the local community. Megan: Or from the off-site community to work towards obtaining a temporary sponsor. Megan: In addition to a CADC, residents will also have the chance to work with an Eating Disorder, Mood, and/or Trauma Specialist. 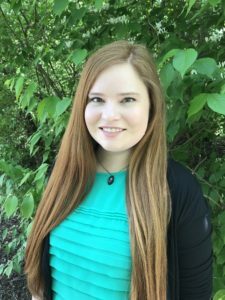 Megan: With the multi-disciplinary approach, the mind, body, and spirit are treated at Timberline Knolls. Addiction Hope: Thank you so much to everyone who participated in our Twitter Chat today with @timberlinetoday! Addiction Hope: Thank you again to our fantastic guest, Megan, for joining us on this important conversation. Addiction Hope: Be encouraged in your recovery journey and know that you do not walk alone. Take care everyone!